On the face of it, she is no different from other children her age – she loves riding her bicycle, watching cartoons and playing her favourite games. But K. Vishalini of Palayamkottai, Tirunelveli isn’t your average 11-year-old. Blessed with exceptional IQ, the Standard 8 student is an IT whiz kid who can come up with solutions to the trickiest of technical problems. Yes, she spends three hours a day learning about computers. But that is no big deal. Vishalini has just returned home from an international seminar held at the National Institute of Technology Karnataka (NITK), Mangalore, where she was a special guest. Such invitations are pretty routine for her these days. Her syllabus has been wrapped up well in advance. So this child prodigy has the time to visit engineering colleges to deliver lectures to B.E. and B.Tech students on the intricacies of computer science. At seminars, many an IT expert has been foxed by this chit of a girl who has answers to complex questions. Her amazing achievements include cracking the Microsoft Certified Professional and Cisco Certified Network Associate (CCNA) courses with ease. Vishalini’s IQ is around 225. It is higher than that of the Guinness record holder, Kim Ung-Yong, whose IQ is around 210. “She did not find a place in the Guinness Book because the minimum age requirement is 14 years,” says her electrician-father, Kumarasamy. Vishalini’s mother, Ragamaliga, and the girl herself had to struggle to tide over a speech impairment that the latter suffered from as a small child. Today, Vishalini is a wonder girl that her parents can be immensely proud of. The irony was that the mother spoke incessantly on radio while the daughter had difficulty in articulating herself. “People would point that out to me all the time,” says Ragamaliga. A local doctor came to her aid. “Dr Rajesh advised me to talk continuously to Vishalini in order to help her improve her speech ability,” says Ragamaliga. She was preparing for her Group-1 exams at that point. So she began reciting questions and answers of the syllabus in front of her. “Moreover, I used to recite religious verses as well,” she adds. “All this might have looked a little pointless but I persisted. Suddenly one fine morning, after nine months, Vishalini started speaking." The girl’s parents heard of a boy who had secured admission in an engineering college after his Standard 8 exams. "We approached Kalasalingam Engineering College. They asked us to bring a certificate from CCNA. Vishalini took the exam and got 90 per cent marks. It was a world record. She was only 10 years old. Earlier the youngest student to pass this exam was a 12-year-old boy from Pakistan, Irtaza Haider,” says Kumarasamy. Both NITK of Mangalore and Kalasalingam Engineering College are now more than ready to welcome Vishalini. But her parents want the girl to enjoy her childhood for the next three years before thinking of entering a college campus. Their only disappointment now is that the state and central governments have failed to recognise and appreciate Vishalini's extraordinary achievements. 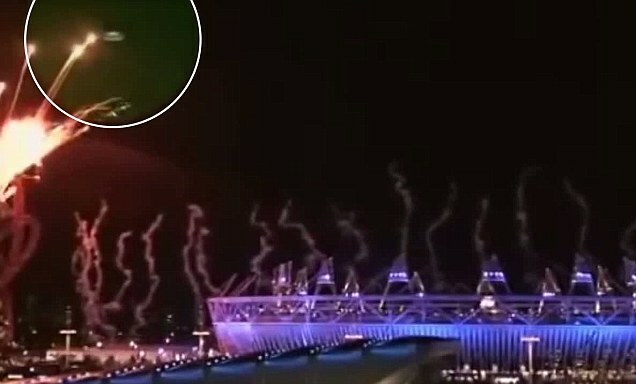 As fireworks lit up the heavens above the Olympics opening ceremony, watched by around a billion people, something else was seen among the whizz-bangs in the night sky... a UFO. 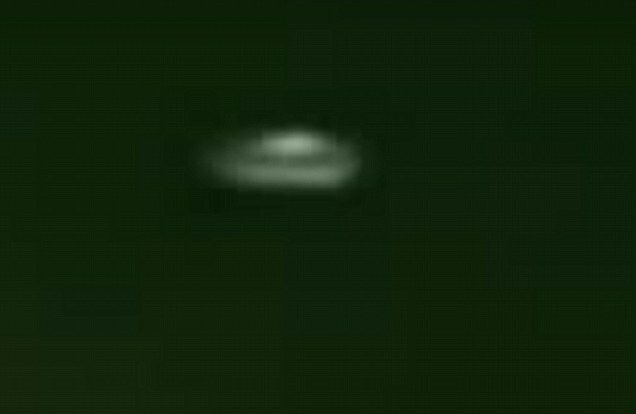 It may have ticked all the cliche boxes - saucer-shaped, bulge in the middle, metallic - but no one has yet stepped forward to explain the slow-moving object. 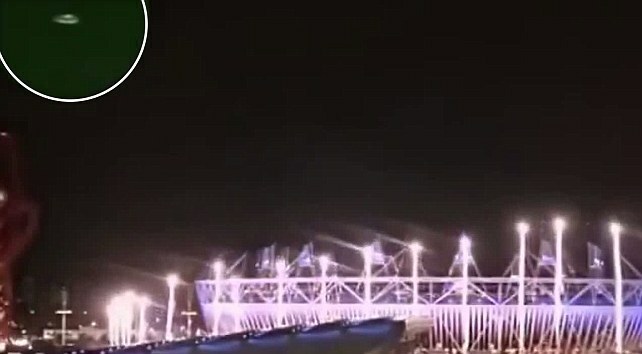 The incident came right at the close of last Friday's spectacular at the Olympic Park stadium in Stratford, east London at around 12.30am. And it was just as Nick Pope, one of the UK’s top UFO experts, predicted only weeks ago - that mass summer events would be a prime time for crafts from other worlds to present themselves to mankind. One theory is that the 'spaceship', whose presence was reported by Examiner.com, was a blimp used by a news channel to gather footage. 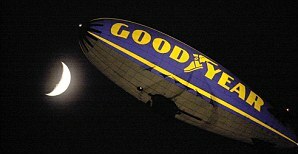 But while NBC Olympics - a division of NBC Sports - has picked Goodyear blimps for all of its 2012 Olympics aerial coverage, the object does not look like one of the floating airships. Some commentators on YouTube believe it is actually a helicopter - or simply a fake. Mr Pope, who worked at the Ministry of Defence for 20 years, investigated reports of UFOs between 1991 and 1994. SO WHAT WAS THAT IN THE SKY? He began his research as a sceptic, before becoming convinced that the sightings raised important defence issues for national security and air safety. Speaking earlier this month, he said: 'It has been a widely held belief in Ministry of Defence circles that "aliens" have been able to detect us for decades via TV and radio broadcasts. 'What once seemed like science fiction is steadily being realised by central governing bodies as distinctly real. 'If aliens have studied our psychology, they may choose to appear in our skies on a significant date. The footage is believed to have originated from a web user known as 'MrScipher'. 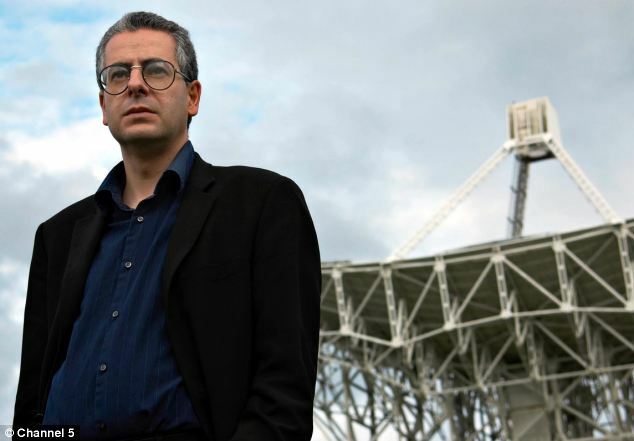 UFO expert Nick Pope (above) predicted the London Olympics would be a prime time for extraterrestrials to make an appearance. Two weeks ago, it was revealed that former prime minister Tony Blair received a briefing about UFOs from the Ministry of Defence because of his concerns over the disclosure of classified information on alien life-forms. Downing Street requested the advice for the PM in 1998 as the Freedom of Information Act was being introduced, which allowed the public to obtain information on alien mysteries. Mr Blair's concerns were raised after he received a letter from a member of the public referring to a 'cover-up' and asking him to make UFO reports and other information available. 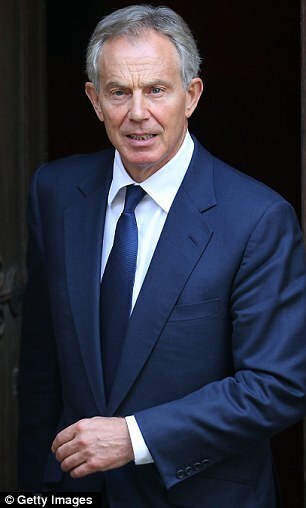 According to The Daily Telegraph, Mr Blair sought advice from the MoD for its policy on the issue. He was told by staff at the ministry that it has 'only a limited interest in UFO matters' but that they ' remained open-minded' about 'extraterrestrial life forms'. Details of the briefing emerged ahead of a release of files on July 12 by the Government of more than 6,700 pages detailing seemingly close encounters with UFOs over the last 30 years. Among a series of UFO sightings in the files is a policeman's report of a mystery cluster of lights darting across the sky during an FA Cup replay between Chelsea and Manchester United. The mounted officer's claims to have seen the bright object hovering over Stamford Bridge in March 1999 for almost 15 seconds, slowly changing shape, were corroborated by a colleague. The ‘credible witness report’ is one of a series investigated by the Ministry of Defence, whose top-secret files are being released in sections by the National Archives following the closure of the ministry’s UFO desk in 2009. One confidential 1995 report by the defence official responsible for manning the desk says the presence of extra-terrestrial lifeforms is ‘possible’, although there is ‘no direct evidence’. It also speculates on the reasons why aliens may be visiting Earth, including for military reconnaissance, scientific research, or just to enjoy the scenery and partake in some tourism. The policeman claimed that he saw something ‘unlike anything I’ve seen before’ at Stamford Bridge while Manchester United beat Chelsea 2-0 in the FA Cup quarter final replay. He said a ‘square to almond shape’ yellow object with four lights floated silently above his horse. Another file describes a West Wales hotelier who saw a UFO landed in a field. Two ‘faceless humanoids’ in silver suits emerged and took measurements. London: Beijing Games gold medallist shooter Abhinav Bindra Monday insisted that he has no plans to retire from the sport after crashing out of the London Olympics by failing to make the finals of the 10m air rifle event here. Bindra, who scripted history four years ago by becoming the country's first-ever individual gold medallist in the Olympics, shot 594 out of 600 to finish a shocking 16th out of 47 competitors and lost the golden chance of becoming the world's first shooter to win two successive gold medals at the mega event. "This was not my day. I started slowly and there was a lot of pressure. It was a very highly competitive field, my performance went up and down," Bindra said after the qualifying round at the Royal Artillery Barracks. Bindra started with two 99s in the first two series before coming back strongly by getting two perfect 10s for consecutive 100s in the third and fourth rounds. The two 100s gave Bindra the lift and the belief he badly needed after dropping a point each in the first two sets. However, a 99 in the fifth and an even poorer outing in the last series where he could score just 97, dashed Bindra's chances of earning a berth in the eight-man finals to be held later today. Asked if he was contemplating quitting the sport, Bindra said he has no plans to call it a day. "It has been a nice journey for me and I have worked hard for this, but unfortunately, I could not make it to the finals," he added while talking to reporters here. Even as Bindra failed, compatriot Gagan Narang kept alive India's hopes by advancing to the medal round. Narang finished third with 598, a point behind world number 1 Niccolo Campriani of Italy and Romania's Moldoveanu Alin George who both shot an Olympic record-equalling 599 to stand first and second in the qualifying round. Bindra is now banking on Narang to do the country proud. "And now I will watch Gagan and I hope he will do well," Bindra said. 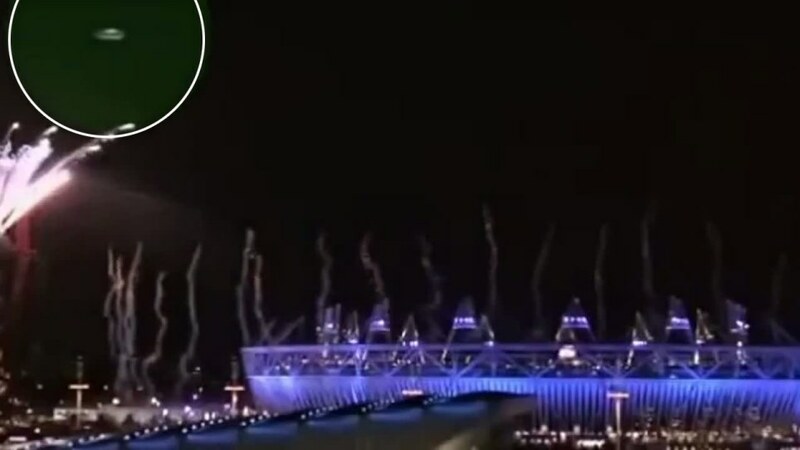 India is scheduled to take part in the 2012 Summer Olympics to be held in London from 27 July to 12 August 2012. The Indian government plans to spend over 250 crores in preparing for the games, including around 20 crores on foreign coaches for various events. The year 2008 was perhaps one of the landmarks in the history of Indian sports. The distant dream of claiming more than one medal in Olympics finally became a reality as three Indian athletes won medals to make the country live through some real moments of celebration. The Olympics 2008 in Beijing surely made India dream bigger than confining themselves within the paradigm of cricket or soccer. Beijing Olympics provided India with new stars. Three men - Vijender Singh, Abhinav Bindra and Sushil Kumar- became household names by dint of their electrifying performances at the highest platform of sports. While it was Hockey that had made India taste gold in the past, star shooter Bindra brought home the first individual gold medal by winning the yellow metal in the 100m Air Rifle event in 2008. It was in Beijing that boxing witnessed tremendous revival in India, holding the hands of Olympic bronze medalist Vijender Singh who defeated Carlos Gngora of Ecuador 9-4 in the quarterfinals at the Beijing Olympics, to guarantee the bronze medal. Bhiwani Boxing Club or BBC, as it is popularly called, has now become a household name for producing the champion boxers of India. Haryana and Bhiwani is surely an epicenter, it is indeed a good venue where boxing and boxers have emerged over the years, says Rakesh Thakran, Secretary, Indian Boxing Federation. Vijender played well in the previous edition of Olympic Games. Bringing India their first boxing medal, in a way he has caused a revolution. More and more children are taking interest in the game, Thakran says.